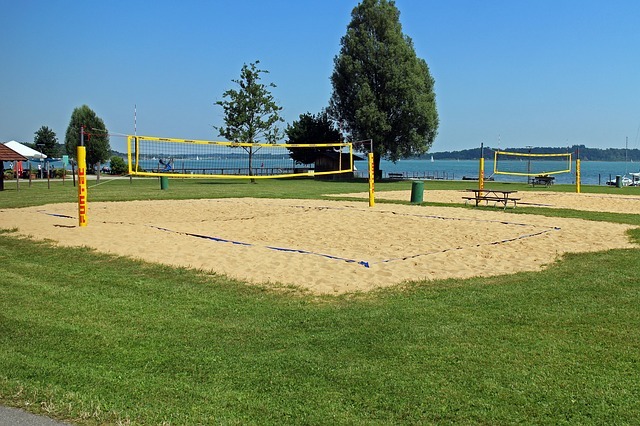 Even though beach volleyball is a relatively low-impact game, it is a tough sport, so injuries can and will happen at some point in your athletic career. It can be from an accident on the court, from a collision with another player, or even just from overuse of your joints and muscles. Nobody, not even professionals, is exempt from Murphy’s Law-injuries can happen no matter what your ability level is. Due to the repetitive motions of the sport, the ankles, fingers, knees and shoulders are the most susceptible to injury. It is important to use proper training guidelines, as well as use the correct strength training techniques for the ankles, legs, back, and shoulders. You also want to minimize the amount of jump training done on hard surfaces. To make sure you are training properly, you may want to consider completing a strength and conditioning program with a qualified instructor. This will not only help improve your strength, but will also help prevent overuse injuries. If possible, try to find a strength and conditioning training program that is specific to volleyball in your area. Using an ankle brace is an excellent way to prevent the ankle from rolling over. Wearing an external ankle support is especially important if you have had a sprain prior, since you become more prone to re-injury. Many who sprain their ankle eventually develop chronic instability, so wearing a brace will help lessen your chances of re-injury. If a brace is not available, tape is an excellent alternative that is helpful as well, but the support and stability of the tape tends to decrease quickly. So, if you use tape, get assistance from a professional for optimal effects, and leave yourself enough time to get taped up before you play. Playing cold is like trying to play with cold rubber bands, and you increase the risk of injury when you play “cold” by not warming up properly. The whole purpose is to engage your muscles before it faces high athletic demands. 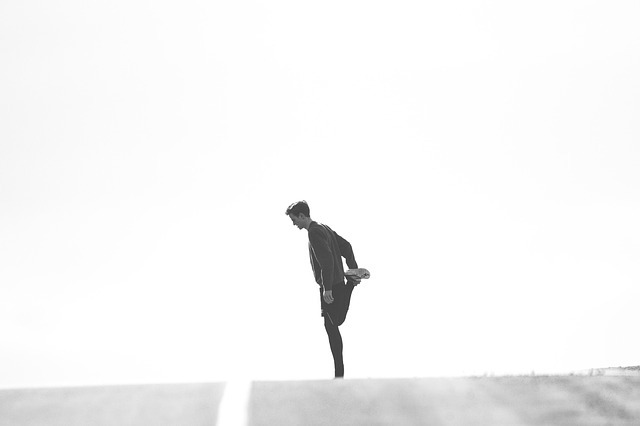 When you warm up, you improve blood circulation and prepare your nervous system for exercise. Make sure before you play, you warm up your muscles first with some light aerobic exercises, plyometrics, as well as with dynamic movements and stretches. Cooling down after a game or practice is just as important as warming up, and it will even help prevent the amount of post-exercise soreness you feel the next day. This will also help you return the breath and heart rate back down to a resting level gradually, which can help prevent dizziness or fainting. Make sure you are cooling down properly in order to help your recovery time, and to help improve your flexibility and strength. Beach volleyball is unique with its hidden dangers. Garbage can be hidden in the sand, which can create cuts or sprains. In addition, you have to contend with the sun! Playing out in the hot sun can cause heat stroke, sunburn, and dehydration. Playing when you are cold is no picnic either. So make sure you are always prepared by surveying the beach court before playing for any debris, and be sure to keep a first aid kit with you. Have sunscreen, snacks, and make sure to bring a lot of water with you every time. Remember, weather can be unpredictable, so it is always important to bring layers with you. Even though we all love volleyball, it is important to take some time out so your body can get some rest. Also, by doing this you are reducing your risk of becoming burnt-out, which often happens to athletes who persistently train, but don’t take adequate rest. In addition, when you train too hard, your body generally doesn’t have the time to sufficiently recover, so you become more prone to overuse injuries. Remember, getting adequate rest is just as important to your development as training properly. You are what you eat, and it is imperative to eat a balanced diet if you want to ensure that you will have the strength and energy to participate. Eating poorly can make you feel sick and/or hinder your performance while playing, which can consequently open the door for more injuries to occur. Getting a good amount of healthy fat and carbohydrates in you will help fuel your fire, while consuming protein will aid in the repair of muscle. In fact, eating right after a game or practice can actually aid in recovery time, and help with soreness!